As you may have guessed by now, I am totally fascinated by Artisans who share the dedication and love of a certain art form with us. I know I am not able to create such works of Art as I have been sharing with you, but, these gifted creative individuals seem to have found the center of their being and actually allow the beauty that is lodged deep within their happy place to come out. 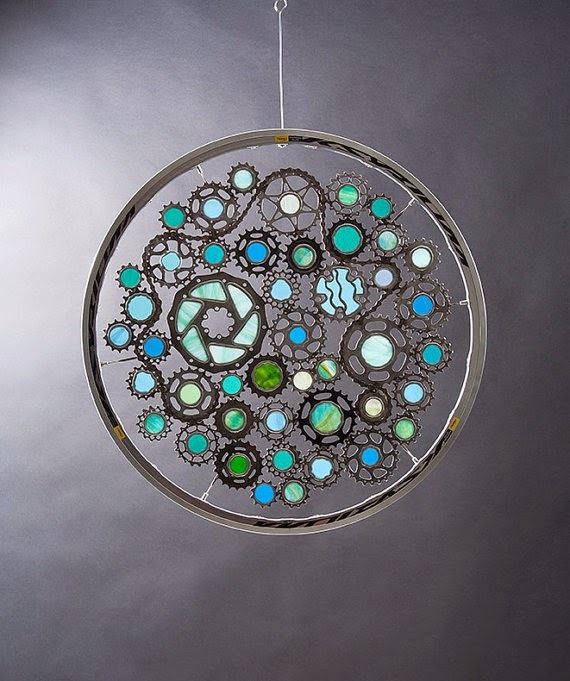 The art of working with this beautiful medium stems from thousands of years ago and to realize the tradition of stained glass remains a treasured object today. 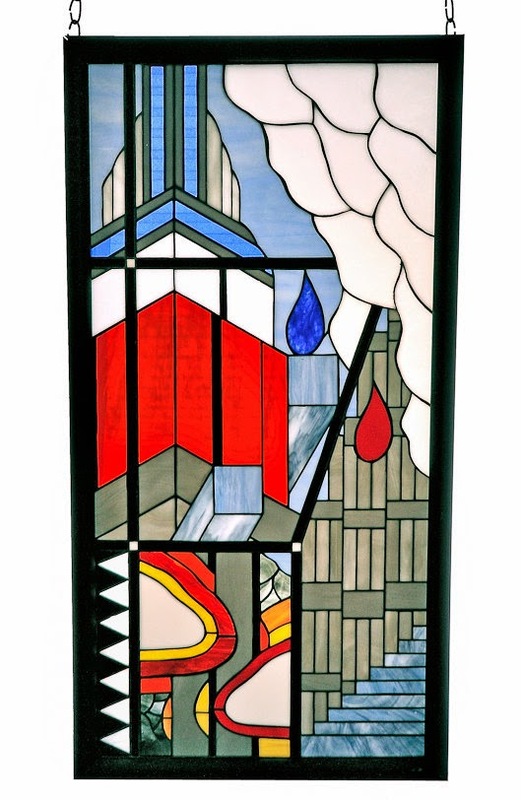 following it, I found this Window, a depiction from within the Artist created this 9/11 Window. Is it not as poignant as it beautiful? 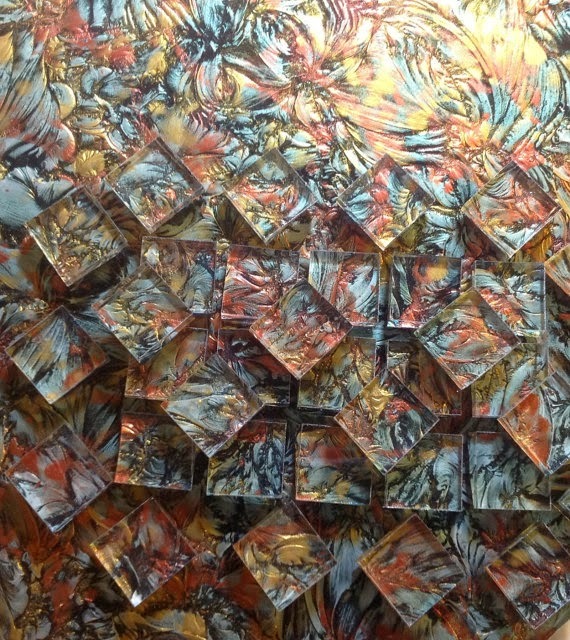 These beautiful objects come from KozmaGlassArt. 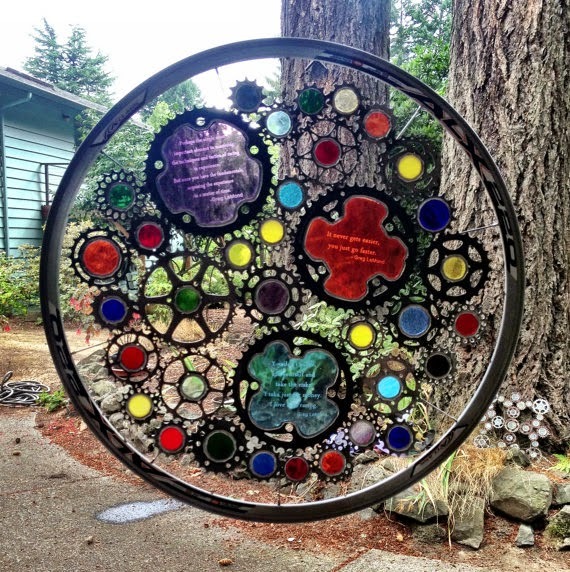 Following for more stained glass art, I came across this absolutely memorable piece made in honor of Greg Lamond who won the 1989 Tour De France.....how very unique and beautiful is this? I would never have imagined in my wildest moment someone could take a bicycle wheel and turn it into this object of beauty. and then I found this one which is my favorite in the colors that speak to me. 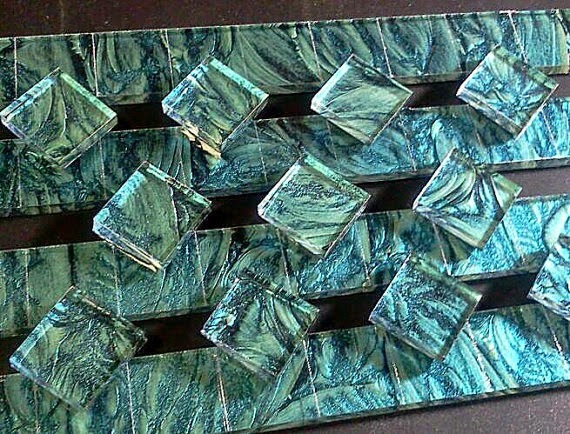 Look what I found at the Stained Glass Lizard made by Lizanne these tiles are stunning.....she has named these VanGogh stained glass and mosaic tiles....and in my favorite color combination too! These are from her happy place! These are like precious jewels and to be able to use them in your home or in a themed arrangement is marvelous. 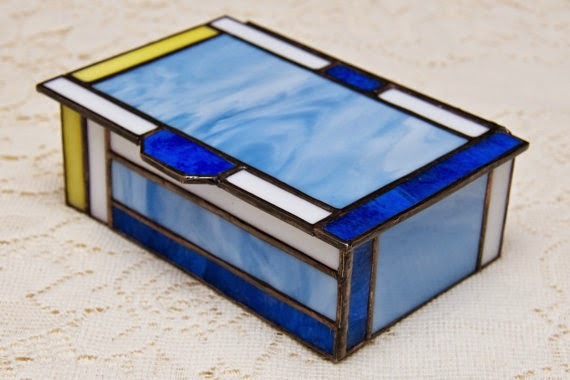 There are hundreds of pieces of stained glass and stained glass Art at Etsy, just type in Stained Glass into your search and voila, up pops these amazing works of art. Thank you for stopping in this afternoon, I sincerely hope each and every of you find your way to these intriguing art works and Artisans.